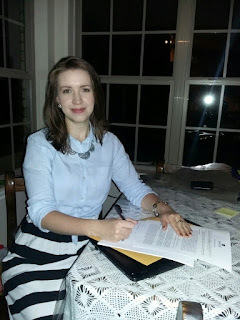 I SIGNED A PUBLISHING CONTRACT! 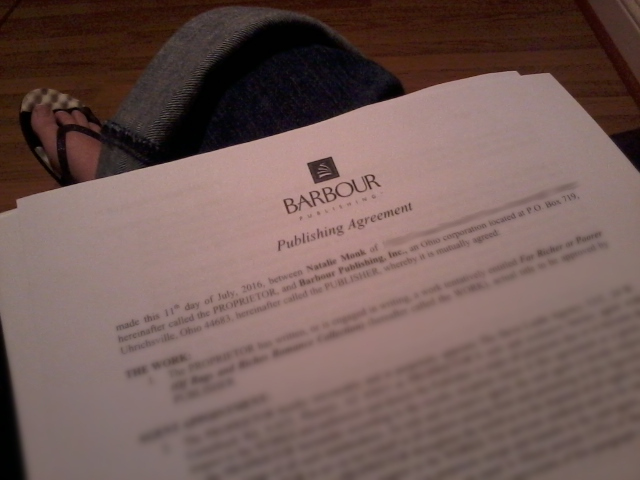 I'll be publishing in a collection alongside eight other fabulous ladies with whom I am elated to be collaborating! God is sooo good! He "just so happened" to let me debut in a collection with several of my writer-hero-ladies and the very writer whose work I was reading when I decided to try writing my own novel at the age of twelve. I call that a God-wink moment. So many feels! 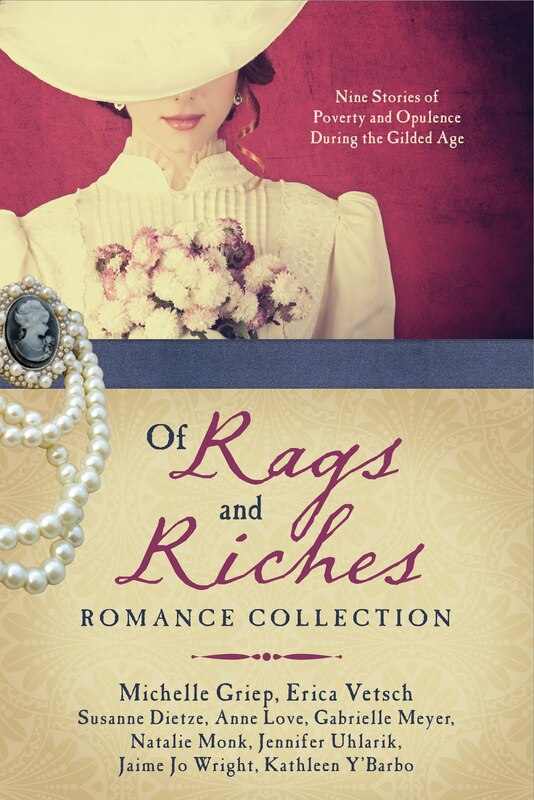 The collection is titled, Of Rags and Riches: Nine Stories of Poverty and Opulence During the Gilded Age. If you'd like to know more about my plot and the other eight stories--there are some fabulous authors in this collection, y'all--then here's a link to an article about the whole collection! Since this all still seems surreal to me, here are a few photos of the contract signing for proof so I can stop pinching myself. Oh! And I forgot to announce--I'm giving away one e-copy of a Barbour novella collection book of your choice! 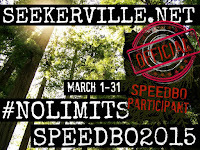 Comment with your email to enter. If you need a list of all the collections so you can decide which you want, here is a list! :) Winner will be announced September 1st, 2016. --Do you have any burning questions about the publishing process? --Have you ever read a novella before or do you normally stick to full-length novels? 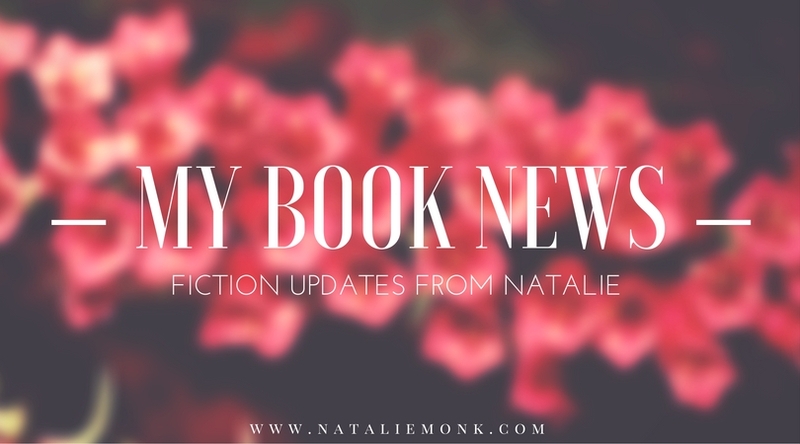 --Are you an avid novella-reader? If so, name one you really enjoyed recently. --What are some important things you look for in a novel? Congratulations! I love reading the compilation books. Eeek!!! I'm so excited about this!!! Yay, yay, yay! 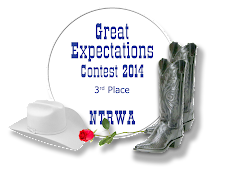 I wish I was coming to the ACFW conference so I could celebrate with you in person! I'm so beyond thrilled to experience this debut along with you!! Have fun, great joy, sharing your news!!!!! Yay, Natalie!! We love you girlie! I had no doubts that this would happen for you. 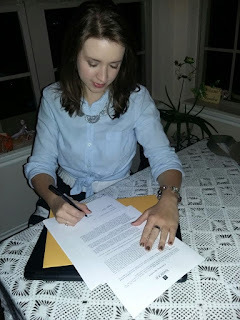 I'm thrilled for you, Natalie - congrats, I'm looking forward to becoming acquainted with your writing!! I love the Barbour novella collections - I have several and would love to add another, thanks for the giveaway opportunity!! I'm so happy for you, Natalie! Congratulations, girl! Congratulations! I look forward to reading your novella. I like reading compilations because it's a good way to try new authors. Thanks for the chance to win. Congratulations Natalie!!!! SOOOO proud of you, cuz! I am so proud of you! Happy dancing, my sweet friend! I loved being in Homestead Brides... it was so much fun. Congratulations! I brought cookies for EVERYONE!!!! So proud of you, Natalie. Another published author in the family! I'm over the moon thrilled! 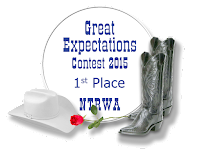 Natalie, you and I met briefly at last years ACFW conference and I had to jump in and tell you "Congratulations!" It couldn't have happened to a nicer author. Congrats Natalie. 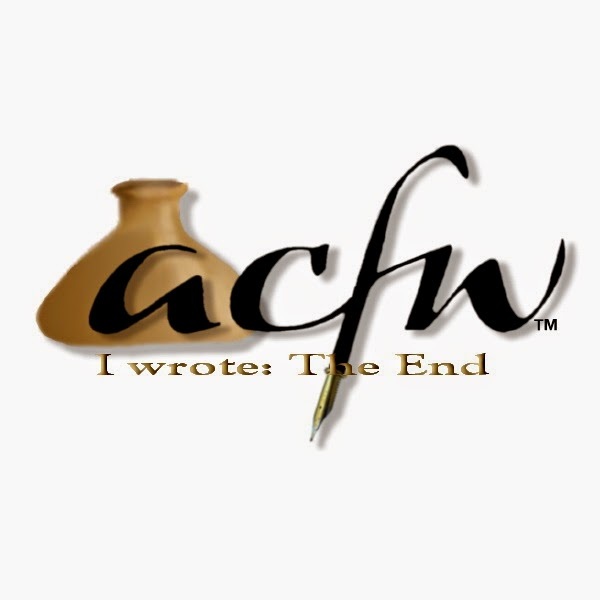 I hope to make it to the ACFW conference next year. Congratulations, Natalie!! So thrilled for you! Oh congrats Natalie! How exciting it is! Great news Natalie. I shared the post about your upcoming novel on twitter. I've read less than a handful of novellas, but I think they are a great way to introduce you to new authors. The last one I read was a suspense fiction novella - Sins of the Past. 1st choice ~ The California Gold Rush Romance Collection which I voted on to your goodreads list. 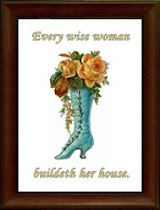 This is a time period and topic that I would love to discover through historical fiction. 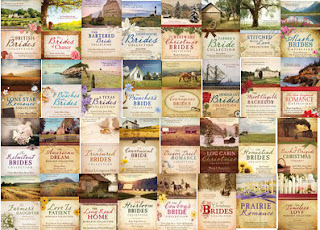 2nd ~ The Alaska Brides Collection catches my eye because I lived in Alaska for 6 years. 3rd ~ One of the Christmas titles. Probable The Westward Christmas Brides Collection. Which is your favorite or which period appeals to you the most? Congratulations!! I am very interested in how you found an editor and publisher. I have just started writing Christian fiction. I have written children's stories, but, never pursued publishing. Yes, I signed up for your newsletter. YAY!!! I LOVE these Barbour Novella Collections! I own ten of these books and currently have one checked out from the library too! I'm super excited! Oh yeah! And I've signed up for your newsletter too! Congratulations! What an exciting time for you! I'm a total novella junkie. They are perfect for winding down at the end of a long day. I enjoy the Barbour line and also the Timeless Romance Anthology collections. They aren't Christian fiction but sweet and clean romance. I've been "introduced" to several authors through novella collections! Wowza at all the friends and new faces!!! Thank you all SO MUCH for your comments and shares!!! *my heart smiles* I'm coming back to answer all the questions and chat, I promise! I had a bereavement in the family, so it may be a few days. Thanks so much for your patience!!! Congratulations!!! Looking forward to reading it! !